Here we will discuss the right way to purchase a warranty. We will also let you know about the appliances that are the most commonly repaired, and the ones that cost the most to fix. We have on average 25 technicians in 8 to 12 homes on a daily basis, so our understanding of repairs is better than most. But to begin with, we need to give you a bit of a perspective. 31 years back we were not in the business of selling warranties. This is because it was not necessary. The typical Maytag washer would last from 17 to 19 years, so there was no reason to sell a 5-year warranty. However, with the transition to energy-efficiency standards that are higher and the globalization of the parts, the appliances started to break down or stop working more often. So we began selling these appliances through third-party insurance companies. These companies sell the warranty to us, and then back it up if and when a product breaks. The idea might sound great, yet the execution is extremely poor because most insurance companies are not known for paying out so easily. So 10 years ago we made the decision to back these warranties on our own. This means when you call us with your problem, we will repair the appliance without having to wait for the approval from third parties. 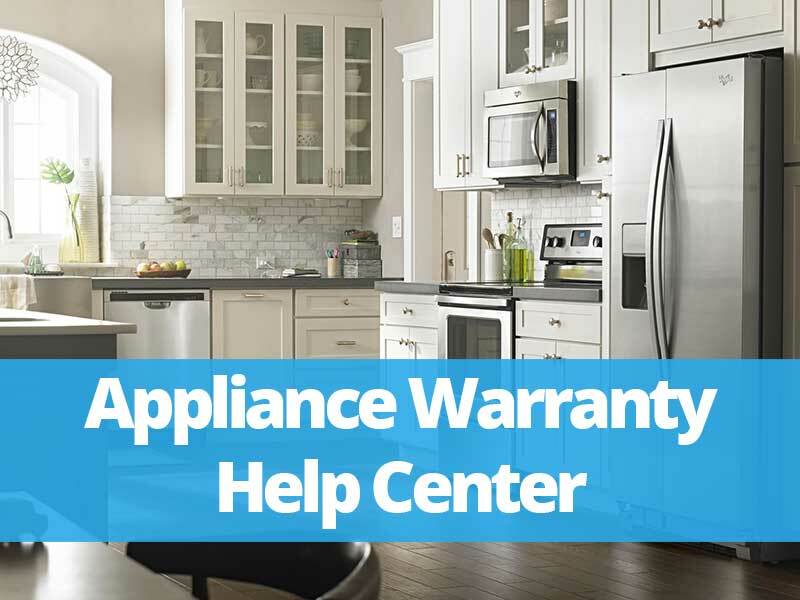 When Should You Never Buy An Appliance Warranty? There is a strong possibility that you have more than likely read about these reviews online. A Person purchases a warranty, yet they are unable to get the product repaired or fixed. Think about this: A product is purchased online from Newyork and then shipped to California, with the warranty covered in Texas. This will not end well. The moral about this type of story is to NEVER purchase a warranty from a business that does not have a service department even if it is in the same city or town. Without service technicians in the area, your appliance will probably never be repaired. Which Products Do Not Need A Warranty? Disposers are one of the more reliable appliances. We sold 1,000 disposers and only 1 needed a repair ( it was my disposer). Microwaves are usually a reliable appliance as there are not many things that can go wrong or break. Yes, even their draws are typically reliable as long as they have been correctly installed. Hoods serve the purpose of moving air, which means you don’t really need extended warranties on this type of product. In general, dishwashers are reliable and are not that expensive if they require repairs. I am not so sure about this one, yet in general, these are also reliable products. Even though the repair rates on washers are relatively low, when they do need repairs it can become costly. In fact, after spending as much as $1,000 on just the parts that require fixing, we usually replace the washer with direct-drive issues. Even though this product features fewer parts, there are lots of service calls for this appliance. In most instances, they happen to be minor. Even the refrigerators that are more reliable that come with dispensers require a service 19% of-the-time in the 1st year. This is an astounding number. The refrigerators of today have to match up to stringent energy standards. The drawback has contributed to how reliable they are. Just about all the French door refrigerators that feature dispensers that send frozen cubes through a refrigerator that is warmer will start to leak over time. The standalone icemakers usually always need a service in the first 5 years. We send out a yearly email about how you need to clean an ice maker. This is because scaling causes these appliances to malfunction along with other issues. Do you remember the last time that you cleaned out your ice maker? Don’t worry I also can’t remember. To begin with, do not purchase one. If you buy an appliance from one of the companies that do not offer service departments, you are throwing money down the drain. At the very best you will go through lots of inconveniences and hassles. If you want reassurance, buy a warranty for every appliance. There are many contractors that do this and then subcontract the work to our business in order to repair any issues. However, the more popular appliances to get a warranty for include the pro ranges, washers, refrigerators, and ice-making appliances.